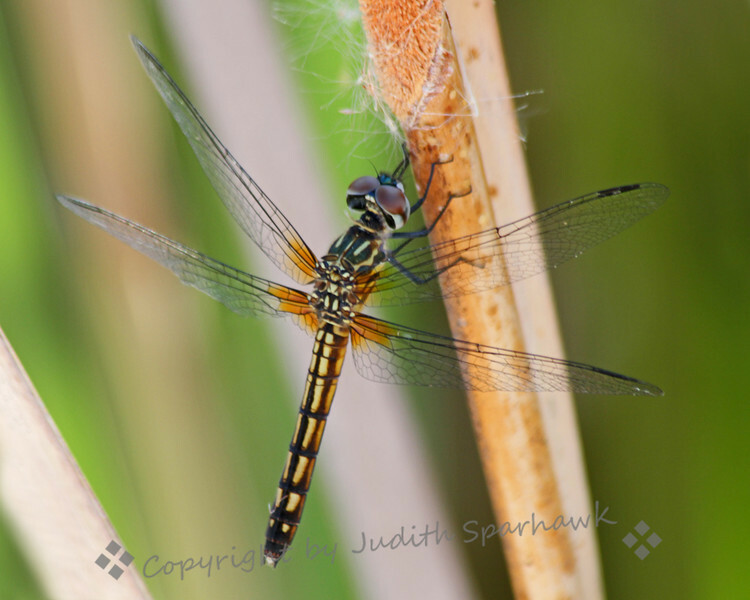 Cattail Dragonfly ~ Another view of the dragonfly perched on the seeding cattail. No ID as yet. It was photographed at a wetlands area near Salton Sea.